Solo Chemical Granule Spreader is specifically designed for spreading a variety of material over irregular terrain more conveniently than a wheeled spreader ! 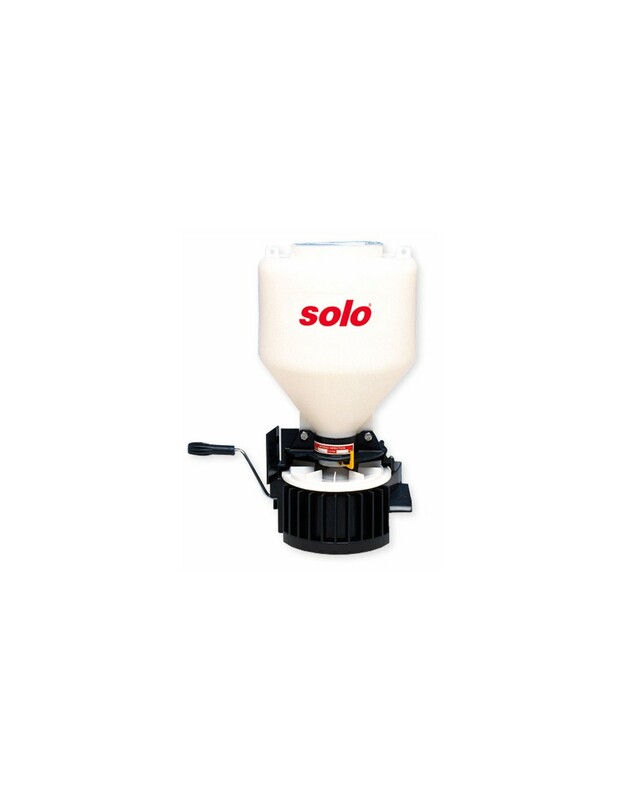 Solo Chemical Granule Spreader is ideal for granular or pelletized chemicals like pesticides and fertilizers. It is also excellent for spreading a "Band" of materials around structures. 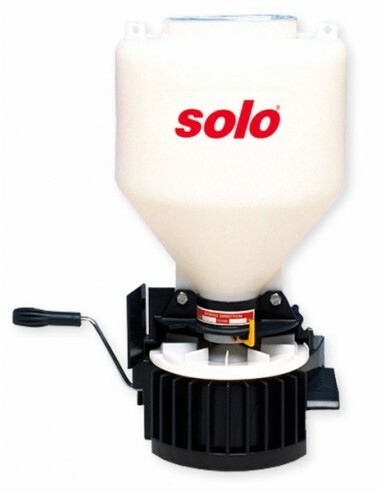 Solo Chemical Granule Spreader is the only spreader available for spreading ant baits at the low rate of 1 lb per acre.